Jacques Medina Jean is the Business Relationship Manager for Industry, the second largest business units of Schneider Electric $35B Corporation. Jacques joined the company through the acquisition of Invensys in 2014. Schneider Electric is the global specialist in energy management with operations in over 100 countries, leverages its portfolio to make energy safe, reliable, efficient, productive and green. It is headquartered in Rueil-Malmaison, France. In this role, Jacques is responsible for the overall IT strategy, operating plan, and the IT budget that support the business across its global footprint. Prior to Schneider Electric, Jacques worked for Invensys, a London based technology manufacturing company. He joined the company in 2009 as Director of Global Service Effectiveness where he led the PMO, M&A, Architecture, and Continuous Improvement organizations, which provide end-to-end management enabling all IT Infrastructure project pipelines and line of Service Delivery to operate as an integrated service portfolio. In 2011 he was promoted to Senior Director and Corporate IT Lead, responsible for developing and maintaining corporate business applications that support Invensys Finance, Legal, Human Resources, M&A, and Environment, Health, Safety & Sustainability as well as the company IT PMO organization. In 2013 Jacques was promoted to Senior Director and IT Business Partner where he was charged with supporting the growth of Invensys largest division, Industrial Automation’s $2B business units by partnering with the business on IT related revenue generating programs and with overseeing all aspects of Information Technology across Industrial Automation global reach. Before joining Invensys, Jacques spent 10 years with Honeywell. During his tenure, he held several positions including senior manager and interim Product Management Director. At Honeywell, he held positions focused on Product Management, Six Sigma, and led IT for the Honeywell Consumer Product Group in Europe, Latin America and Asia. His major contributions were focused on driving IT programs to optimize overall processes and cost across IT and M&A. In his spare time, Jacques is a social entrepreneur. He is the founder of Universal Learning Centre (www.universallearningcentre.org), a US based not-for-profit organization focused on providing educational resources and learning opportunities for people living in developing countries. To date, he has built a portfolio of three public libraries across Haiti with a catalogue of fifty thousand books and a computer lab of 17 workstations serving a population of half a million. The libraries are the first and only of their type in the regions they serve. Currently, Jacques is planning to open the largest library yet in Cap-Haitian in 2015, the second largest city of Haiti. 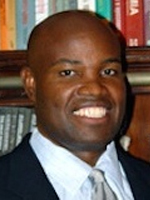 Jacques earned a Master of Science in Public Policy and Management from Carnegie Mellon University in Pittsburgh, PA, and went on to complete an Executive Program in Business Marketing Strategy from the Harvard Business School in Boston, MA, a Bachelor of Science in Economics from la Universidad De Guadalajara, in Mexico. He is also a Black Belt Certified and Design for Six Sigma (DFSS). Jacques speaks Creole, French, Spanish, English and some Portuguese. Jacques worked and lived extensively in several countries. He currently resides in Allen, TX with his family.